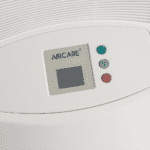 –When the water flows into the bottom, it gurgles. 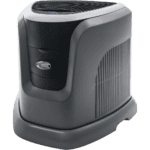 –Highest fan speeds are loud especially #9. 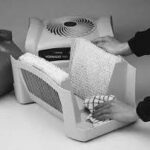 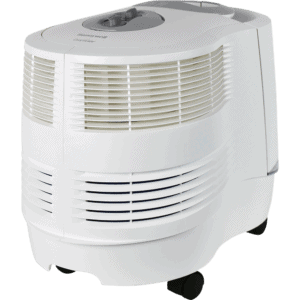 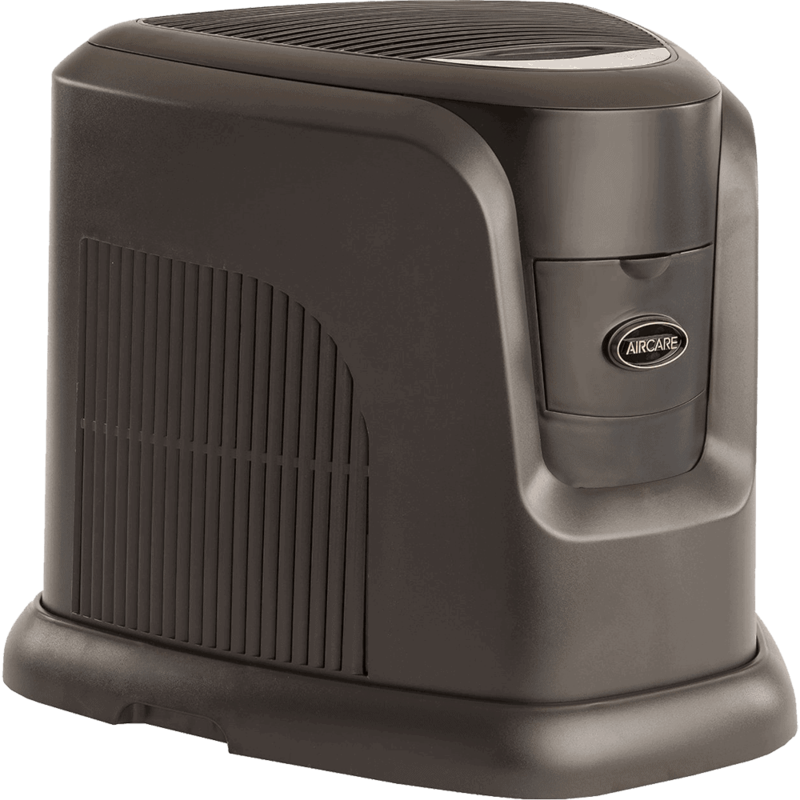 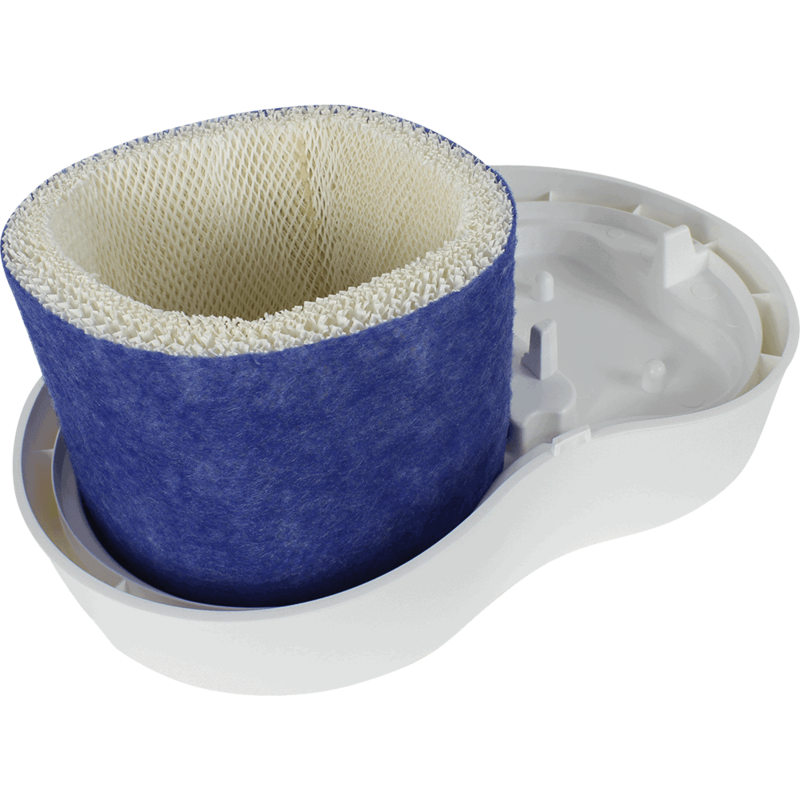 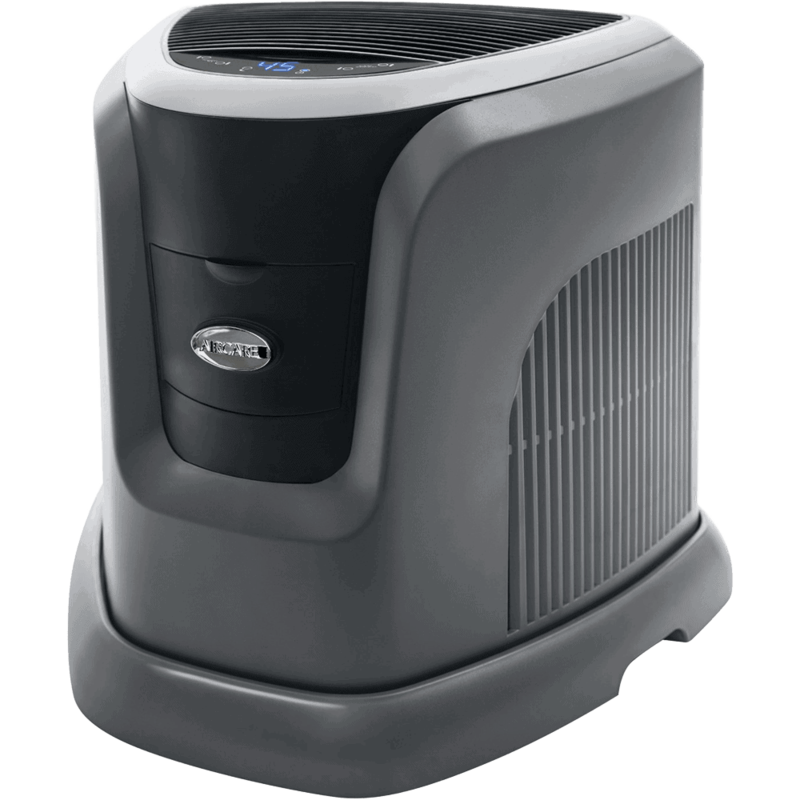 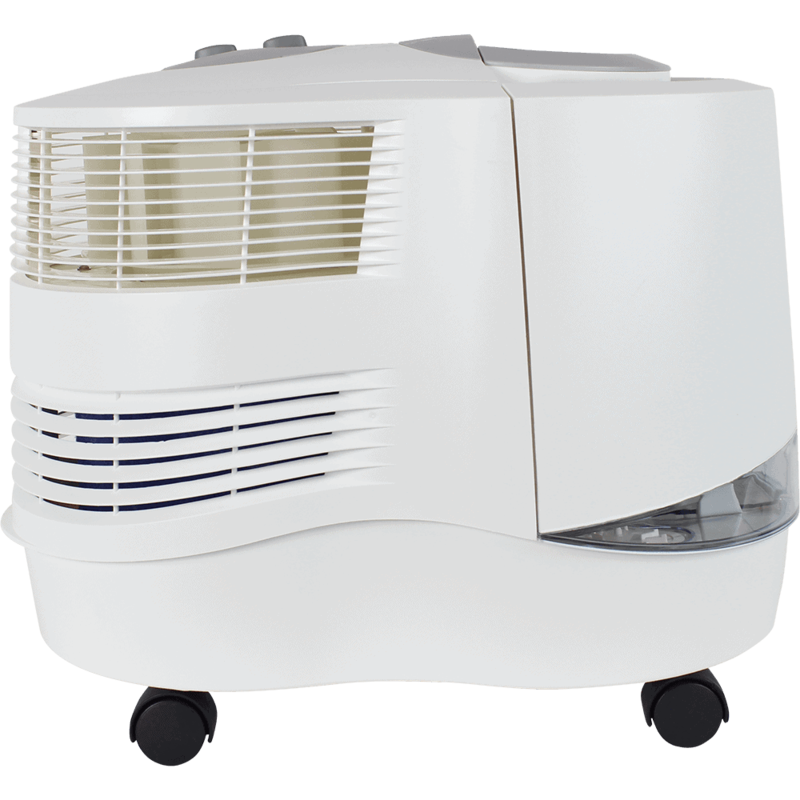 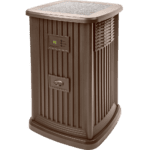 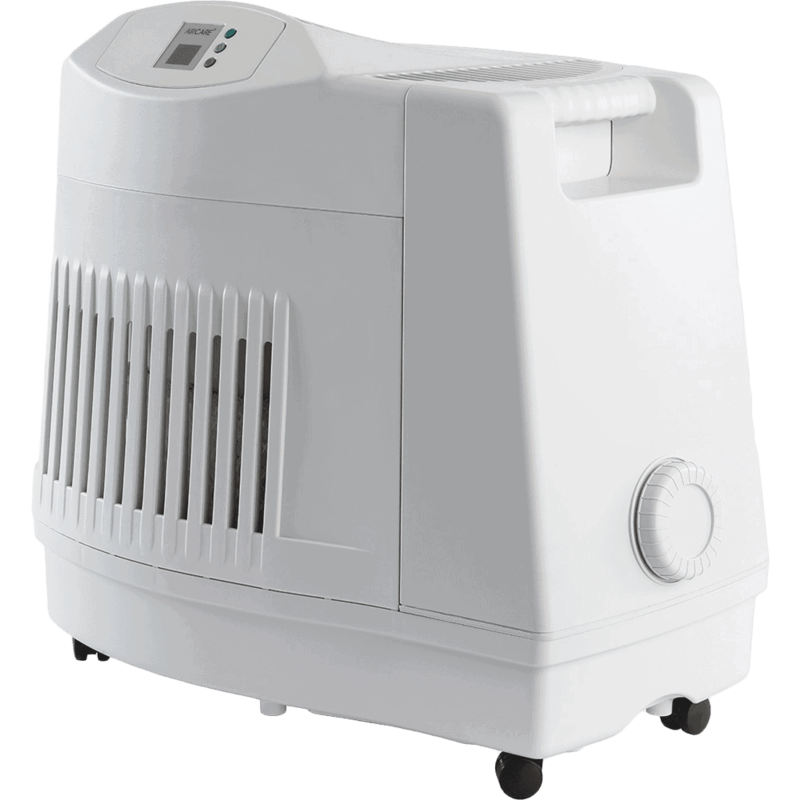 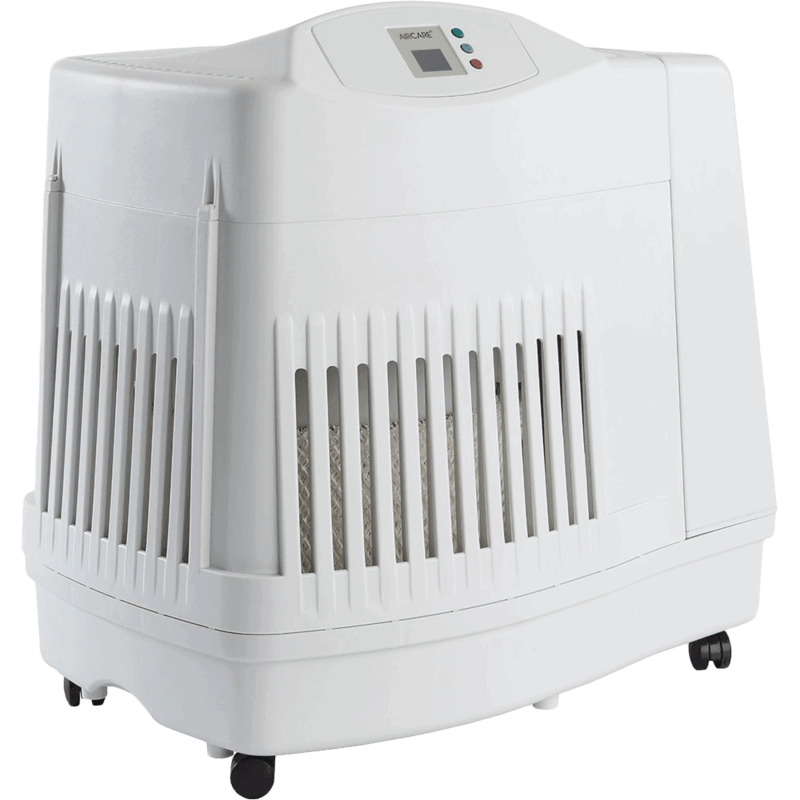 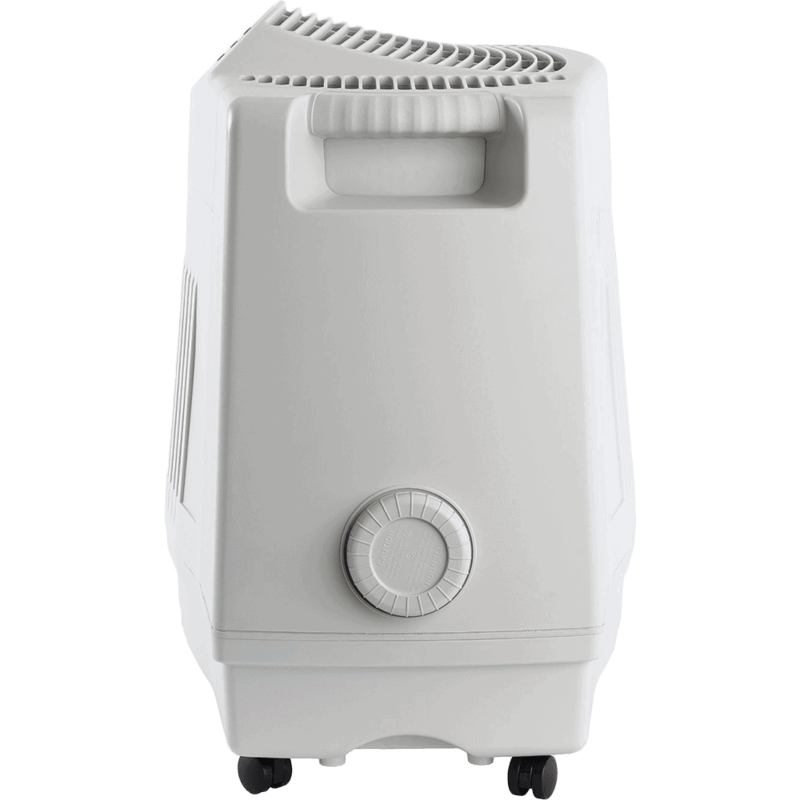 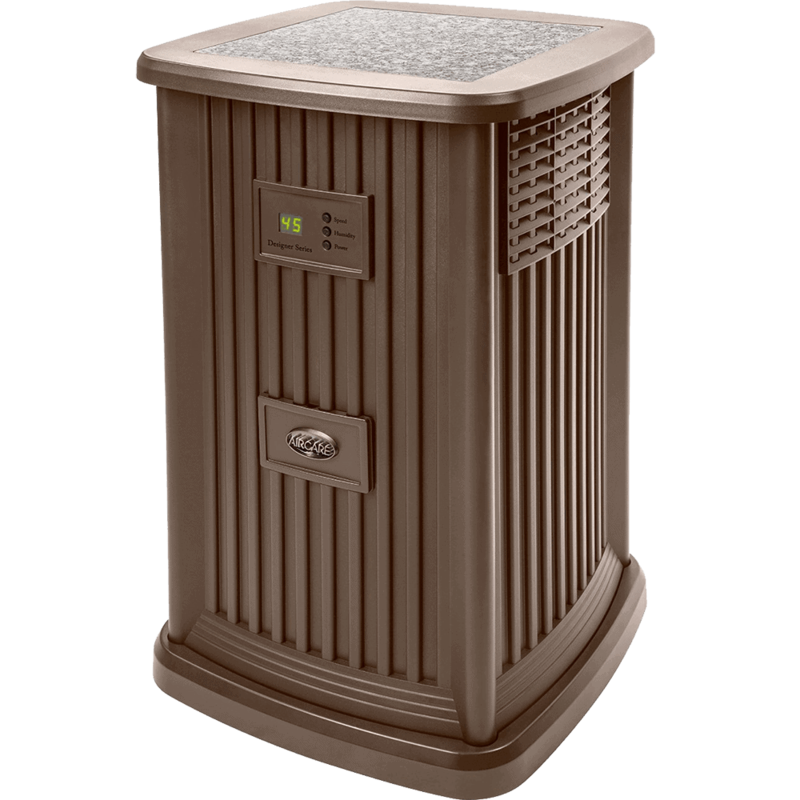 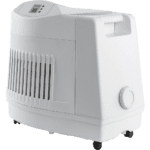 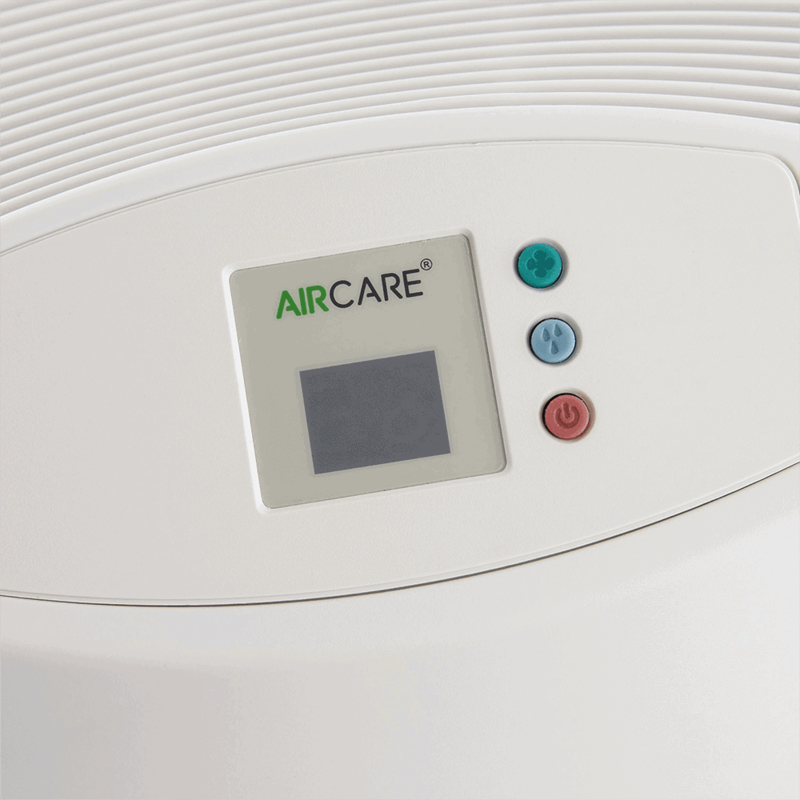 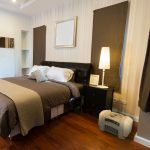 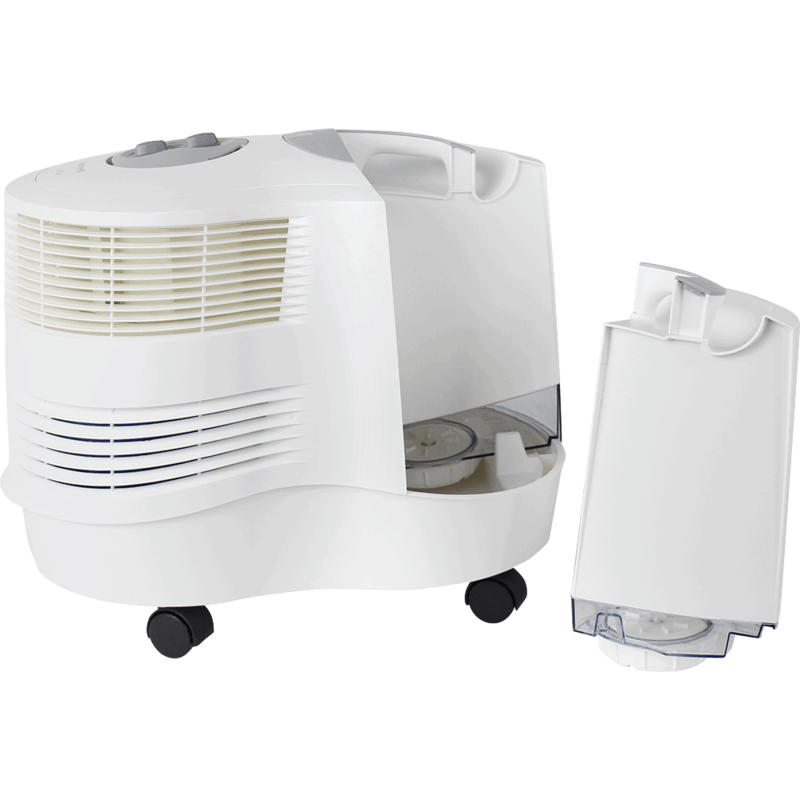 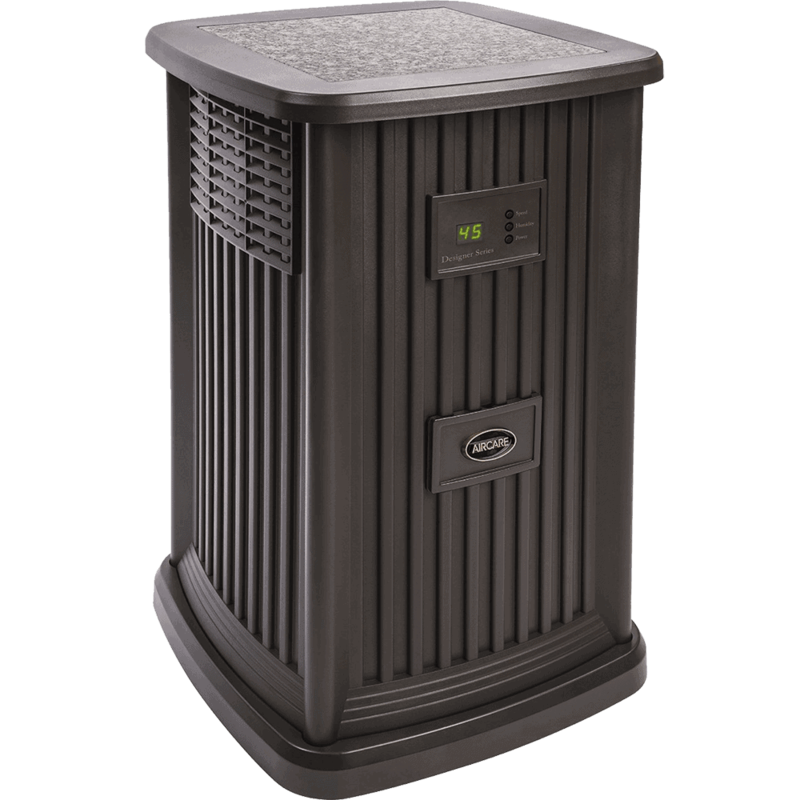 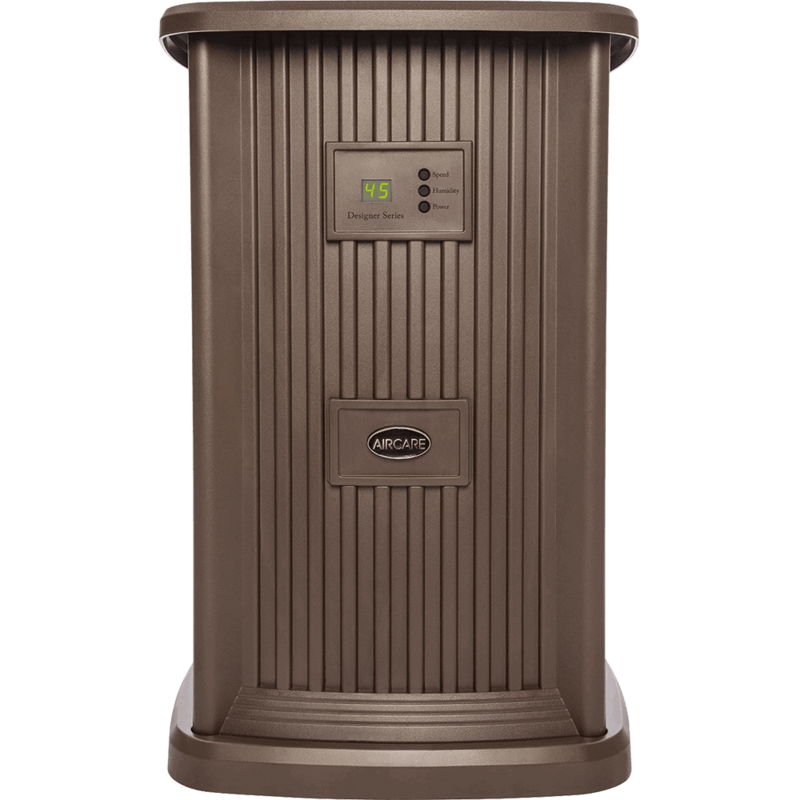 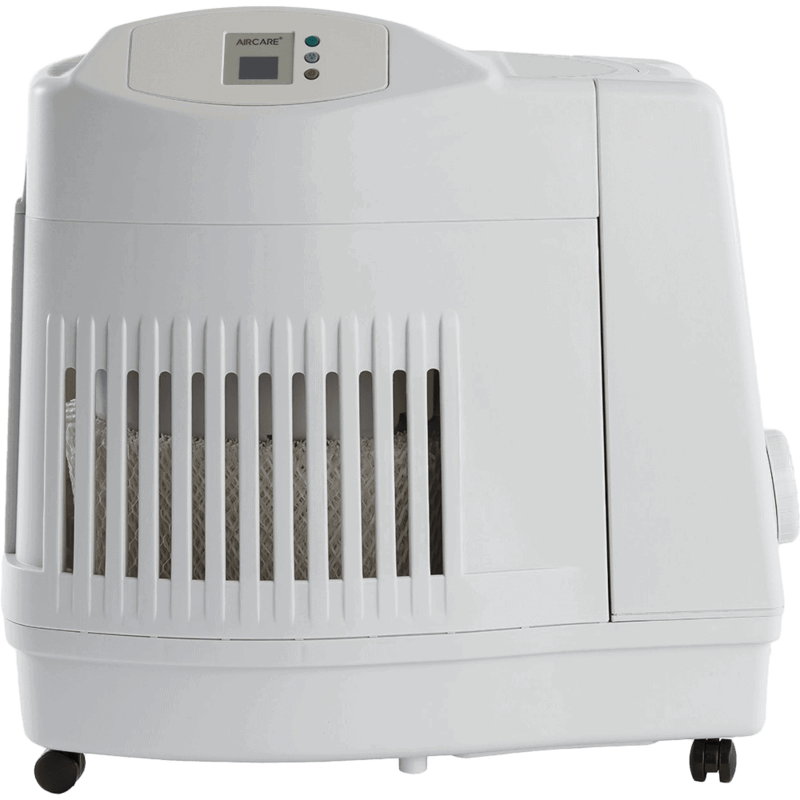 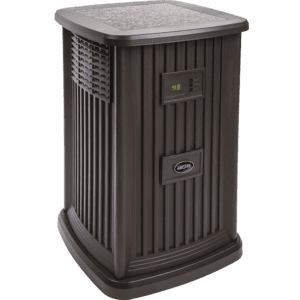 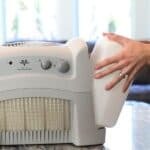 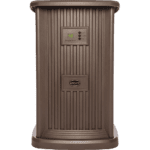 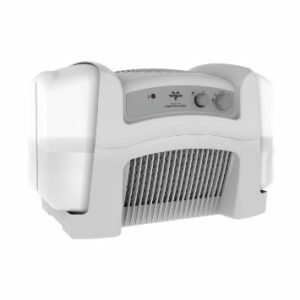 Powerful humidifiers at an affordable price with a lot of features in this category. 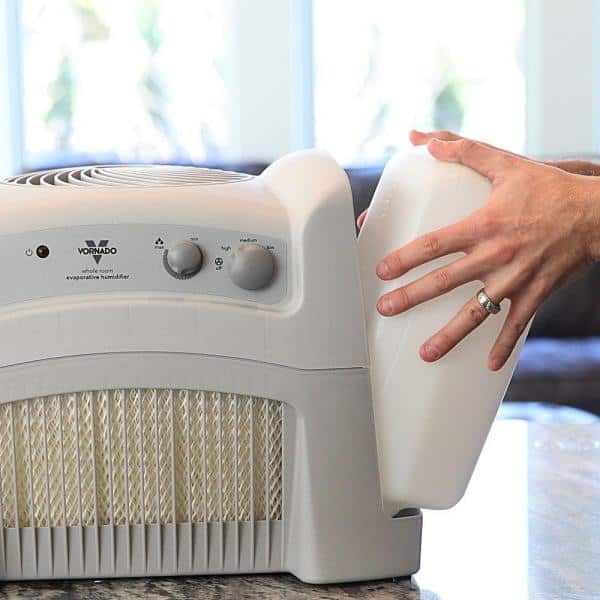 Maybe not the most attractive designs but does the job great. 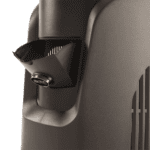 Essick Air / Aircare EA1201 is silver or espresso finish. 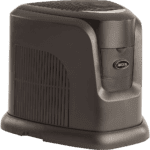 It has a water refill indicator, humidistat, digital touch screen panel, 9 fan speeds, mist output control, check filter indicator, casters for easy mobility, easy-pour tank, large tank holds 3.5 gallons, nighttime setting. 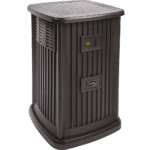 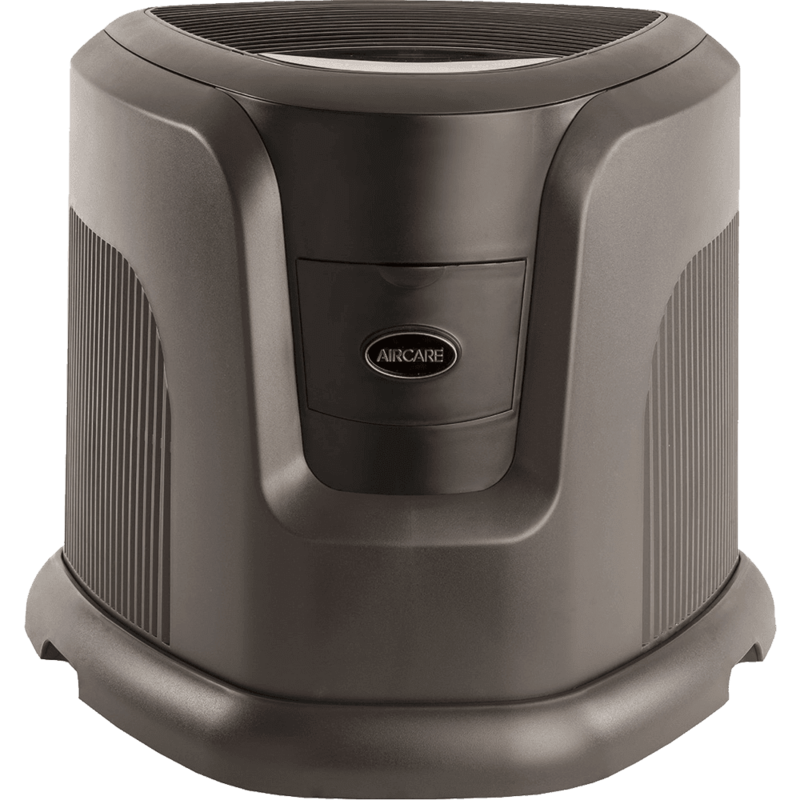 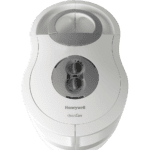 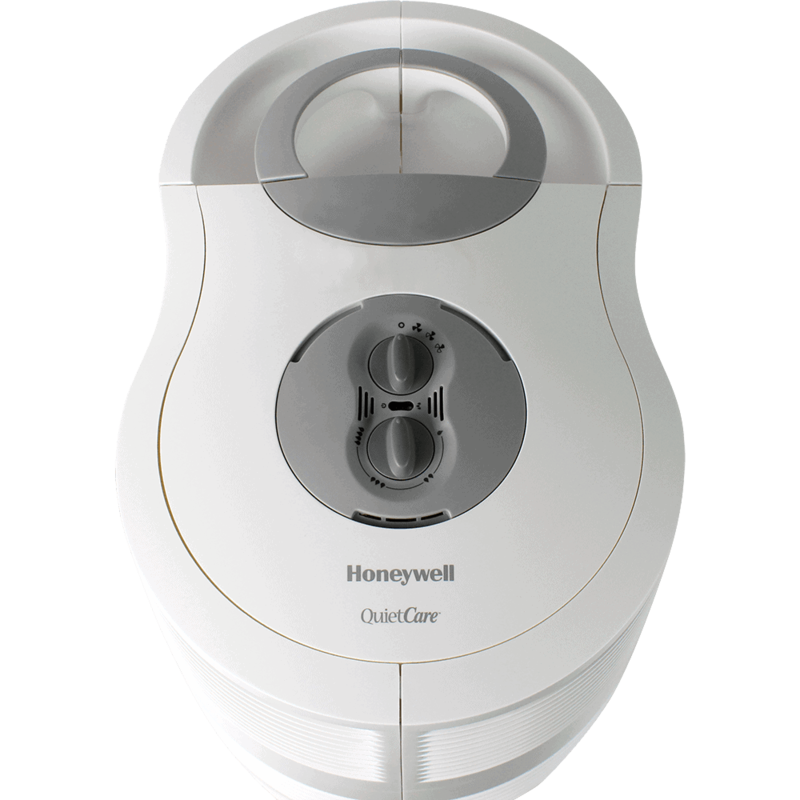 Honeywell HCM-6009 has an air-washing technology plus Protec protection, humidistat, carrying handle, casters, nearly 360-degree output, dual water tanks, high moisture output, doesn’t get dirty. 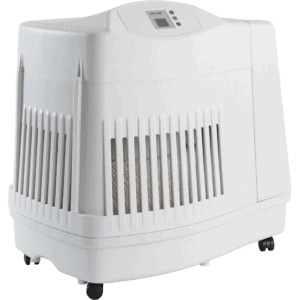 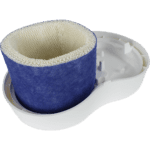 Essick Air / Aircare EP9-800 has a very high moisture output, water refill indicator, humidistat, display, 9 fan speeds, filter replacement indicator. 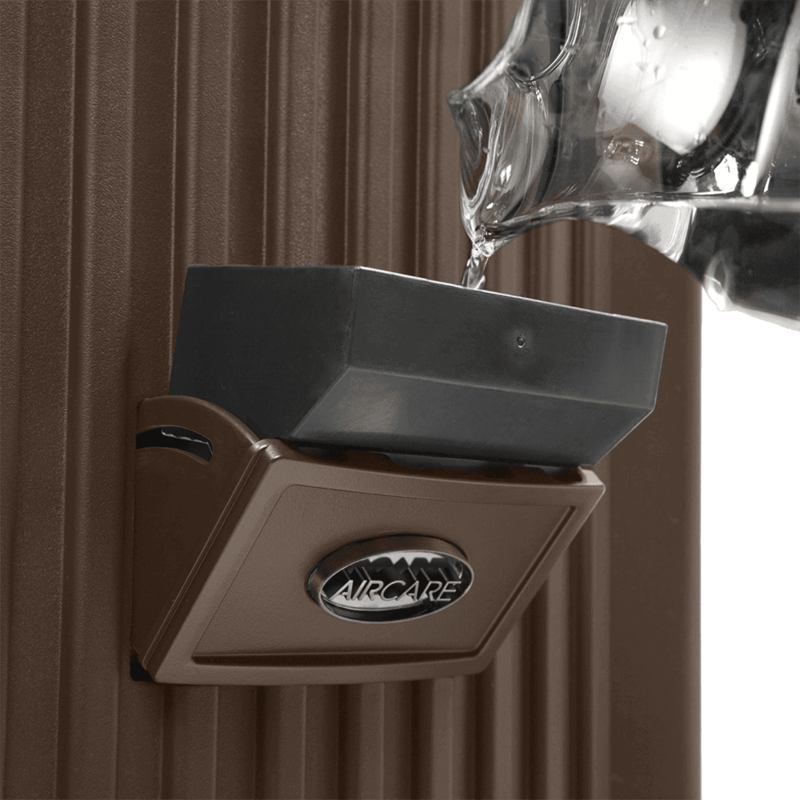 Front fill makes it easy to fill the water. Available 3 finish options. 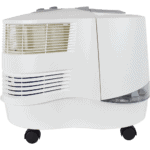 Evaporative wick. 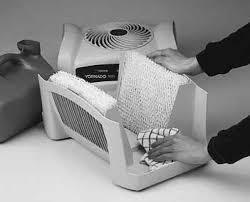 Casters. 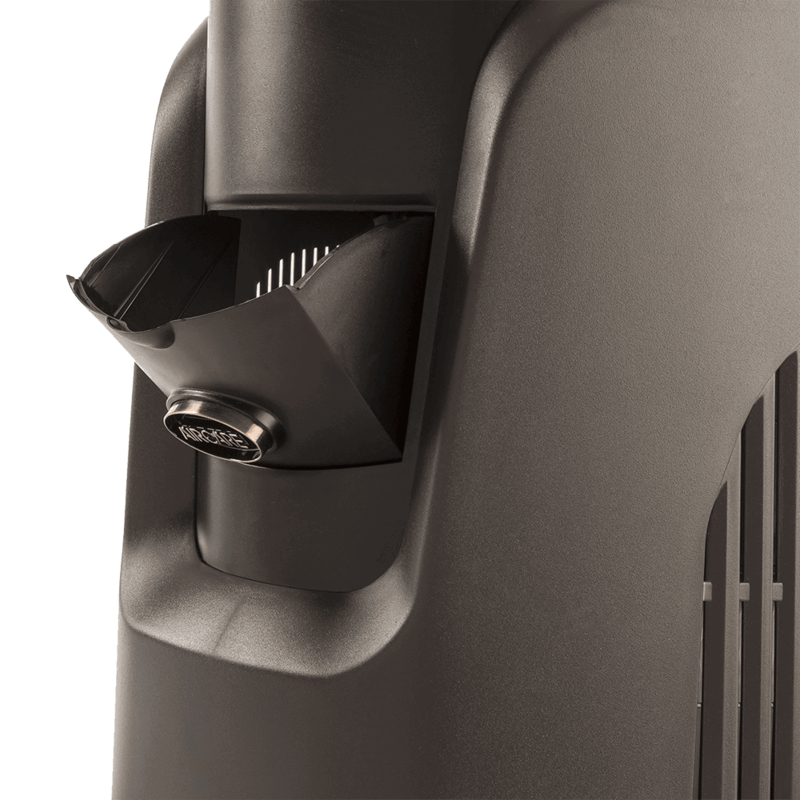 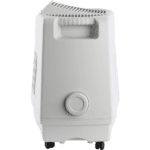 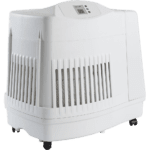 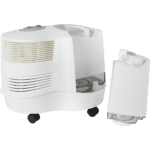 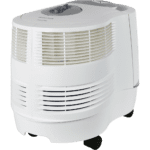 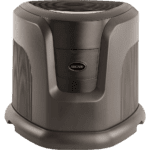 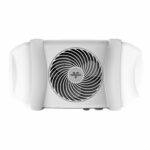 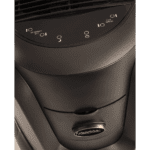 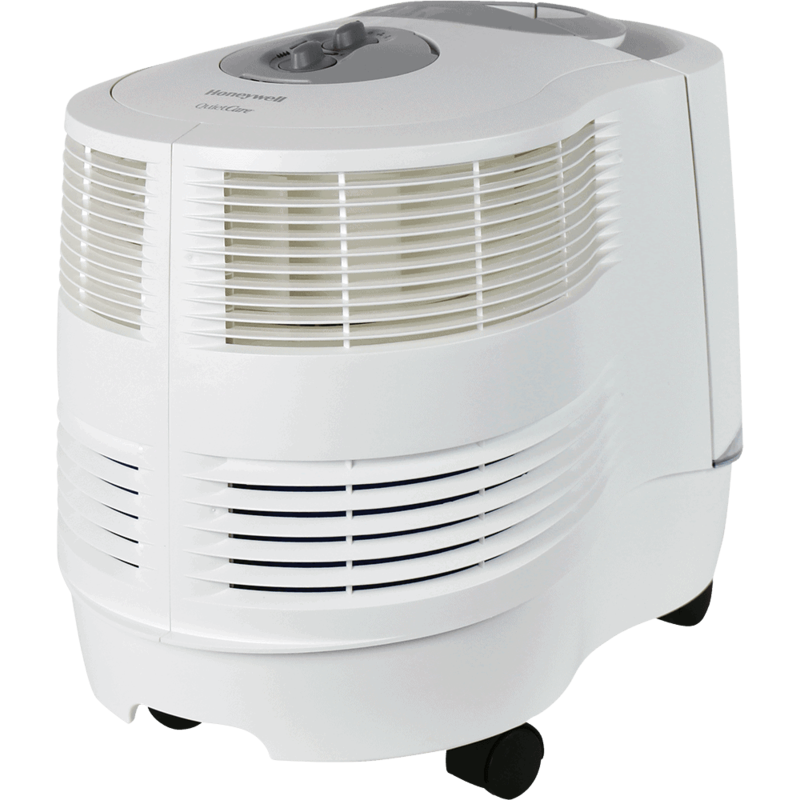 Vornado Evap40 has a simple, effective design, 3 fan speeds, humidistat, mist output control, two large capacity water tanks with carrying handles, energy-efficient operation, 2 Wick filters. 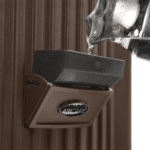 Easy to fill water tanks.